ZM4 was the best one yet! Thanks to all the awesome zinesters and visitors! ZINE MACHINE #4: SAT. OCT. 13th, 2018! 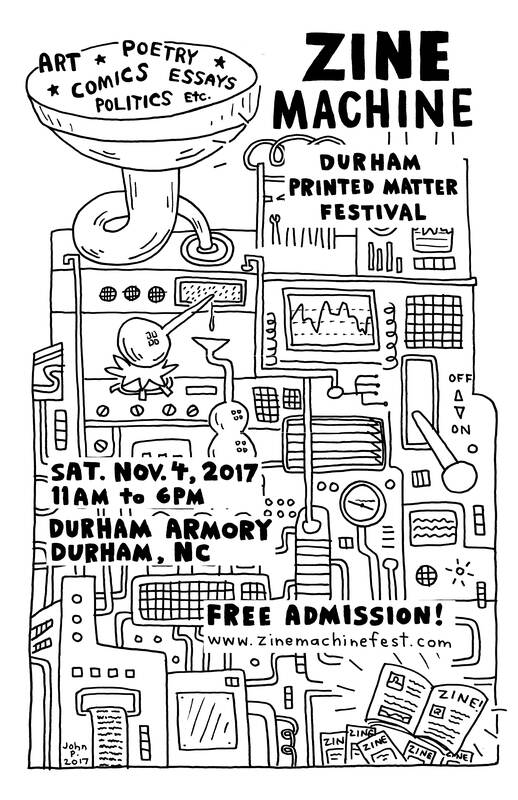 The next ZINE MACHINE: DURHAM PRINTED MATTER FESTIVAL is happening on Saturday, Oct. 13th, 2018, from 11AM – 6PM at the DURHAM ARMORY. 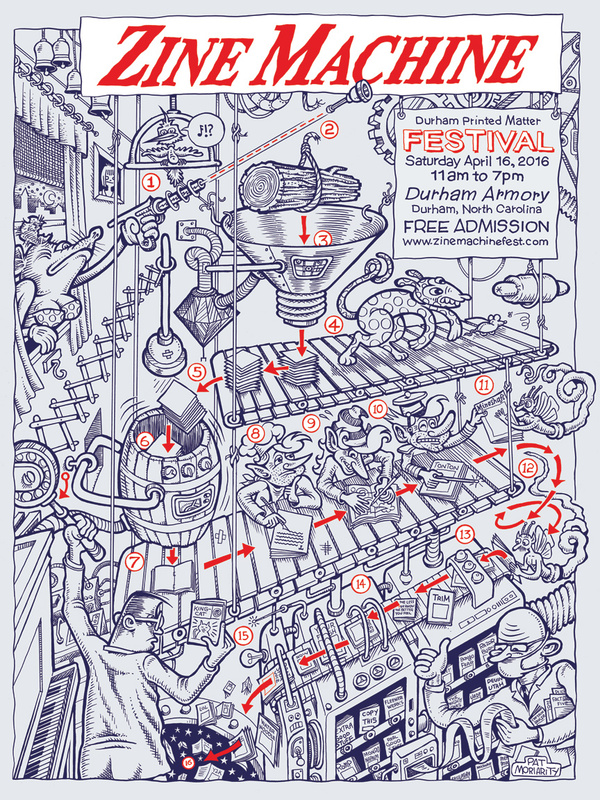 Scores of amazing zinesters, comic artists, print makers, and printed matter maestros will be in attendance. 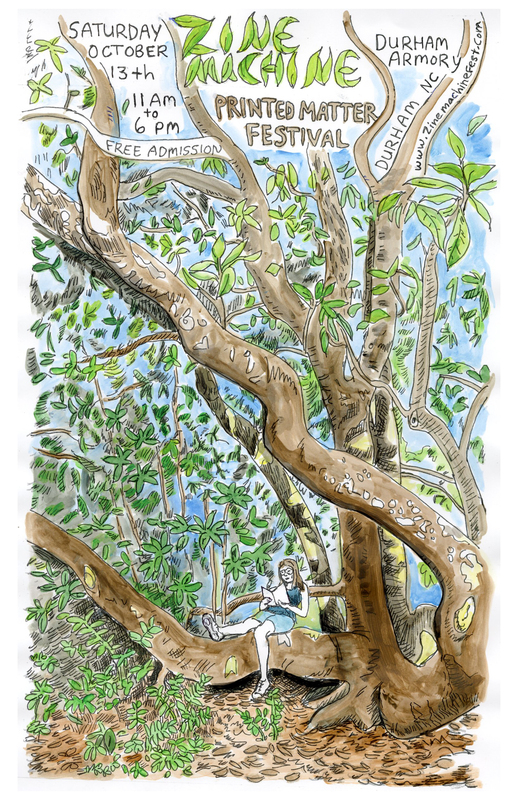 Bring the whole family! Spotlight on ZM2018: More Awesomeness! Spotlight on ZM2018: Round One! Click on the captions to learn more about the awesome artists coming to ZM4!